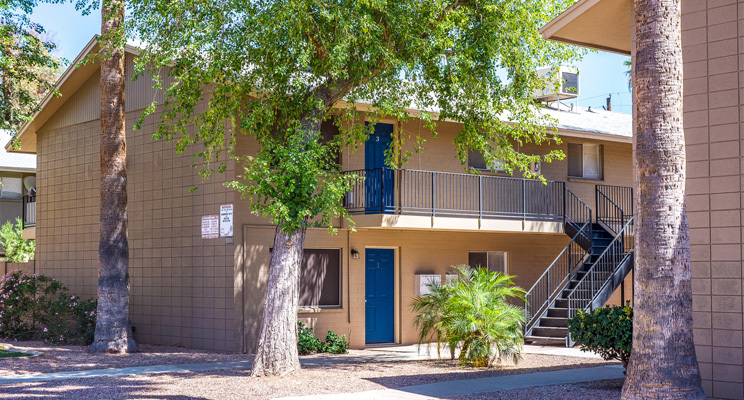 ABI Multifamily, the Western US's leading multifamily brokerage and advisory services firm, is pleased to announce the $2,208,000 / $92,000 Per Unit sale of the Fairmount Villa Apartments located in Phoenix, Arizona. Fairmount Villa is a two story, garden-style apartment community which rests on approximately 1.17 maturely landscaped acres and is comprised of 6 fourplexes on 6 separate parcels. The property was built of block construction with pitched roofing. The property boasts an attractive unit mix of 2 - 1 bedroom, 20 - 2 bedroom and 2 – 3 bedroom unit types, with a weighted average size of 898 square feet. "Fairmount Villa is located in the heart of the 32nd Street Redevelopment Corridor," states Patrick Burch, Vice President, who along with John Klocek, Vice President, were the lead brokers in representing the Buyer in this transaction. "The buying entity, Fairmount 31, LLC, is comprised of market players who have a long and successful history of rehabbing and repositioning assets all over the Phoenix MSA, particularly in the Biltmore and surrounding corridors. The 32nd Street Corridor area has witnessed a tremendous increase in redevelopment, spearheaded by De Rito Partner's Arcadia Fiesta Retail project, as well as, multiple multifamily/retail assets along Indian School. The Buyers felt the property, particularly the property's location directly south of Arcadia Fiesta, made it a perfect value add target by increasing rents through substantial rehabilitation." The Buyer, Fairmount 31, LLC, is a private investment partnership based out of Phoenix, AZ. The multifamily brokerage team of John Klocek, Patrick Burch, Ryan Smith, Nathan Bruer and Royce Munroe represented both the Buyer and in this transaction.